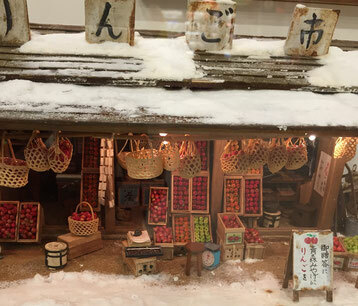 Special Column - New Zealand Beef & Wine, Restaurant "Grill Teru." 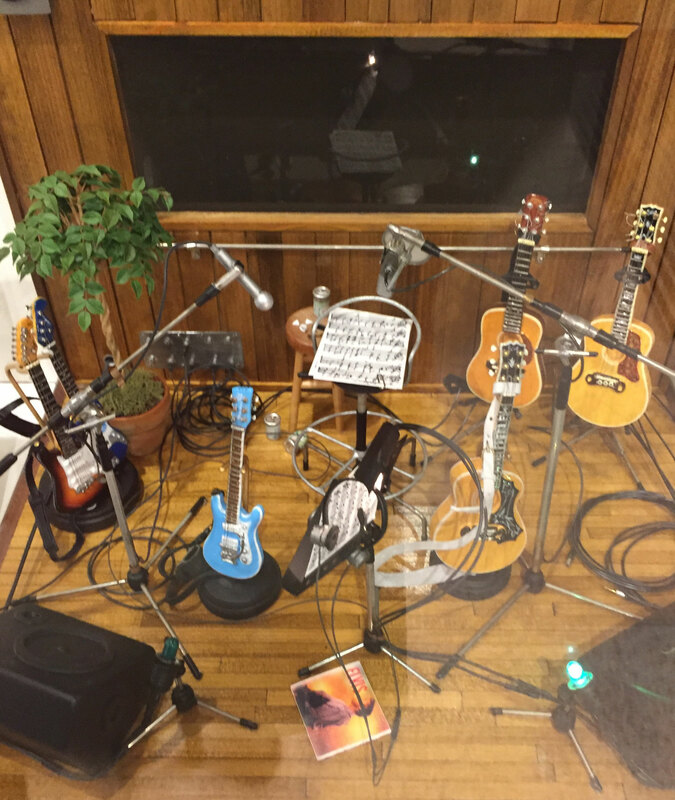 The excellent dream of life, that is in the World of Teruhisa Kitahara. "Kafuu Nagai," one of the eminent novelists in the old Japan (from 1879 to 1959) and his Ginza life. Translation and Photos : Watson Courtier. 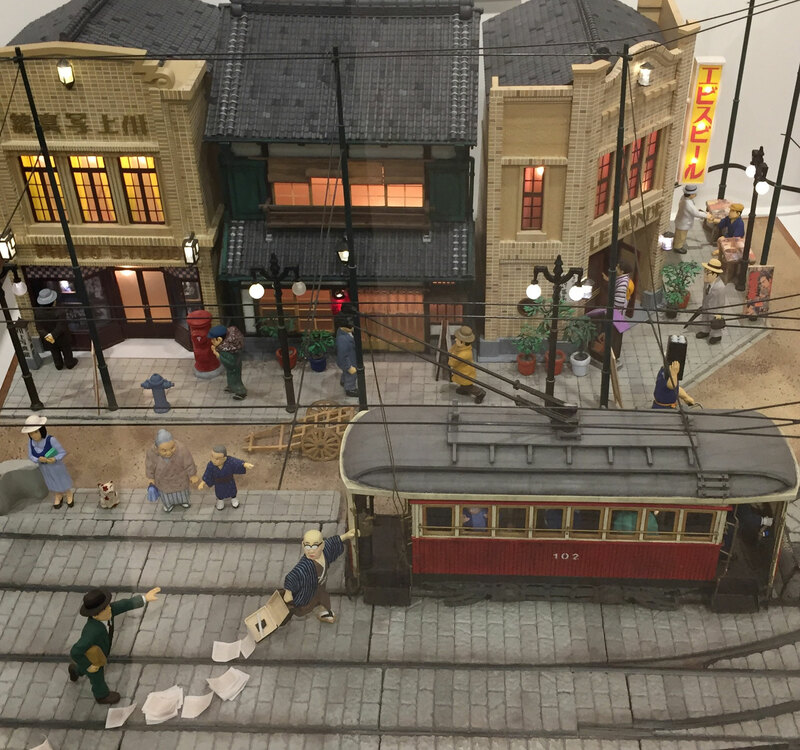 From March 2017, the Miniature Diorama of Old Tokyo Views out of Kitahara Collections are displayed at B1F of the Edo-Grand Bldg in Tokyo, Kyoubashi. 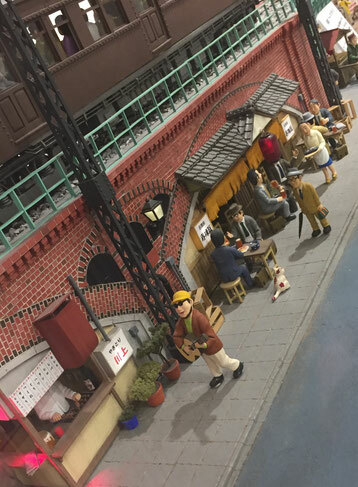 (same location as Grill-Teru Restaurant at 1F.) 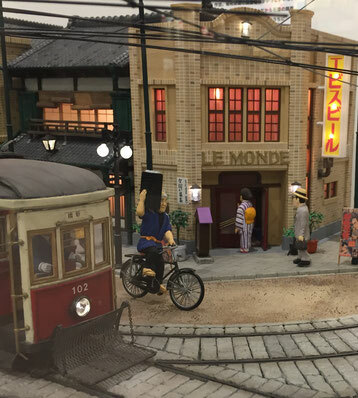 This diorama got high evaluations at the Tokyo Haneda International Air-Port exhibition on the last July 2016. 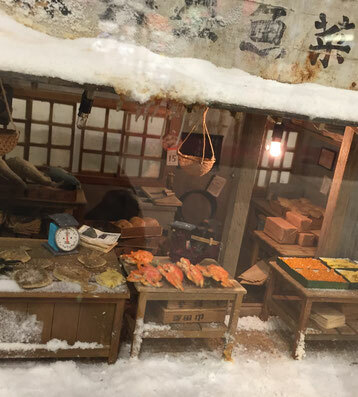 Many people amazed such too much details of each diorama having. 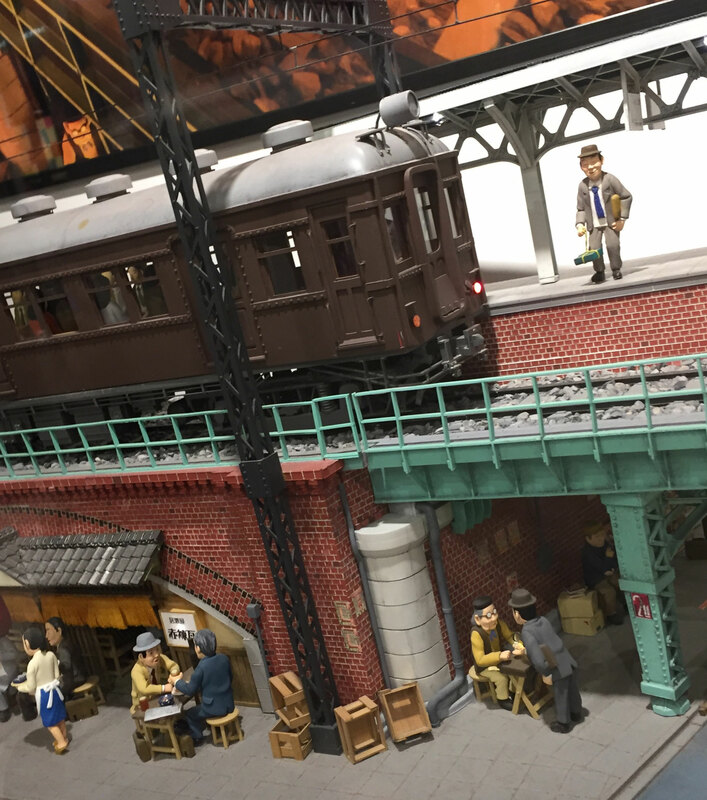 There are selected dioramas by Teruhisa Kitahara and those things made by Mr.Takaki Yamamoto, a diorama builder, are giving us a nostalgia of old Tokyo at Shouwa Age ( 1926-1989). 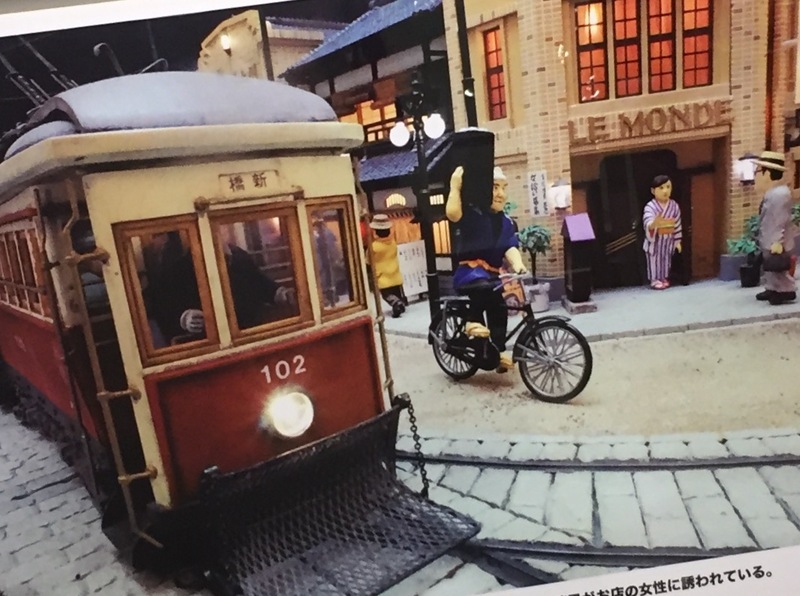 He was a popular man as a builder for setting a scene by a diorama for the NHK TV drama "UME-chan Sensei,(Teacher called UME-chan) in 2012. When Mr.Yamamoto was a fledgling, he favored the essay named "Hiyori-Geta,(Wooden clogs for dry weather)" written by "Kafuu Nagai," and went around towns like "Ginza" in Tokyo. 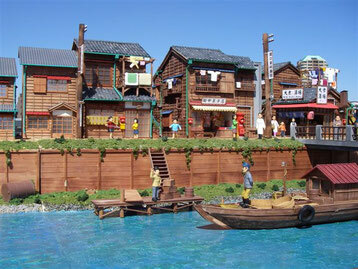 Later, he developed miniature town dioramas with setting small humanoid shape "Kafuu" down scaled on a corner of street. Those dioramas were watched by the collectors in the world. 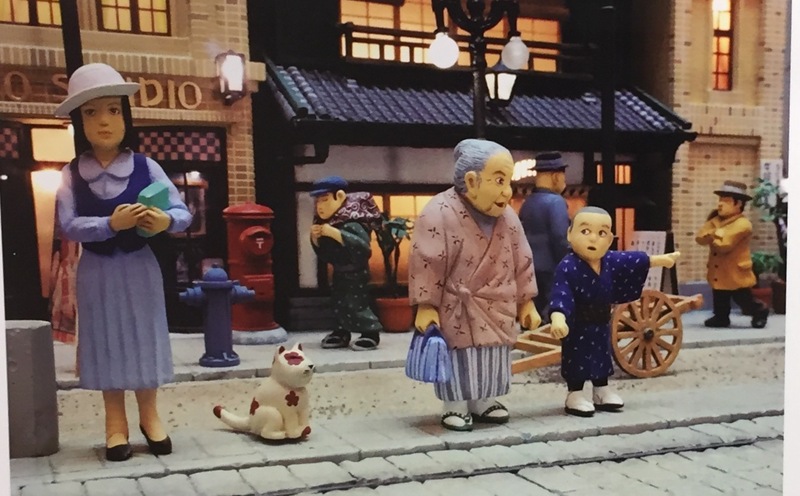 One of those collectors, Teruhisa Kitahara got the Ymamoto's series as "Modern City, Ginza," and others. 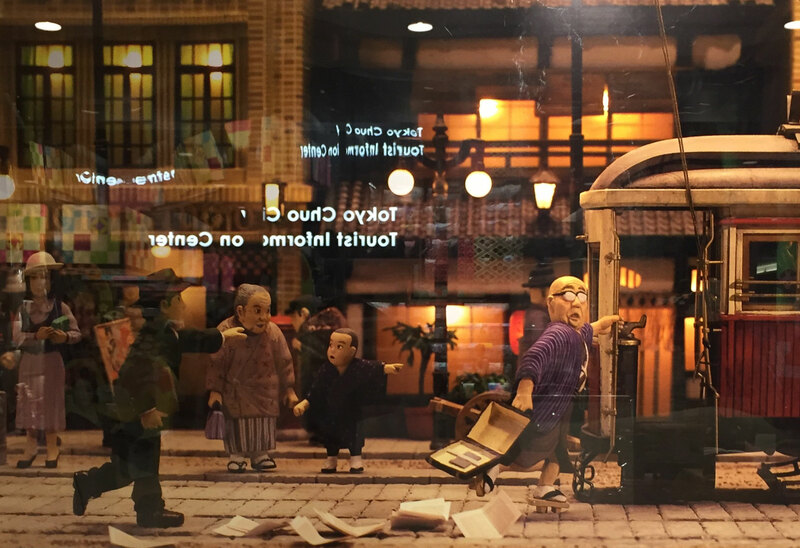 In those works, some one like "Kafuu" is standing in each scene in some where. 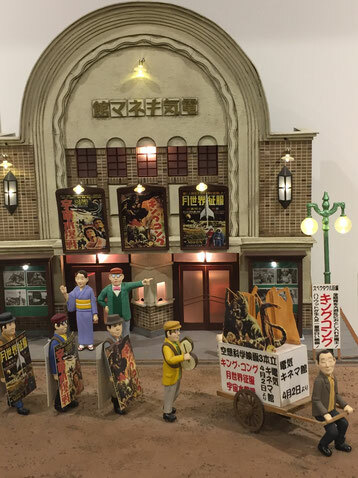 The Restaurant "Grill-Teru" located in the Edo Grand bldg 1F, which owner is Mr.Hiroshi Watanabe, has opened yesterday (March 10 2017) and in that restaurant, there is a works of art Diorama "Kyoubashi & Ginza at Shouwa Age" made by Mr. Tomoaki Sasaki who's mentor was Mr.Yamamoto. 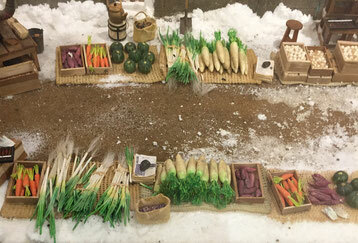 Around the end of age of Meiji (1867-1912), there was the culture named "Cafe Culture" supported by novelists or writers who were called as "Bunshi (Scribbler)" and there were many Cafe Salons in where artists who came back from foreign countries or novelists or writers were chatting or used as a catch point with each other. 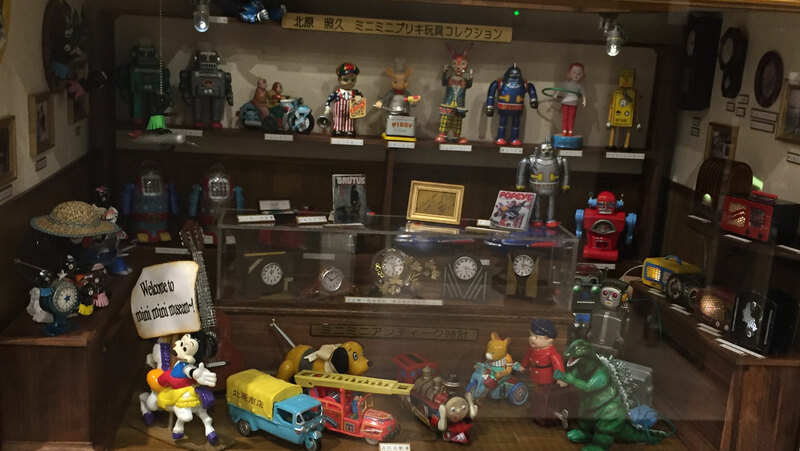 Cafes in the Ginza started with those Scribblers as the rumor. "Kafuu Nagai" represented those scribblers and he spent almost all his time at Cafes or Beer Halls in Ginza since 1926, and played with waitresses. 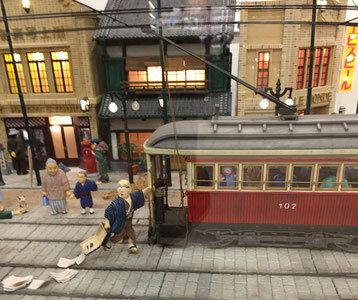 Due to those experiences, he made many eminent novel works based on the Ginza. 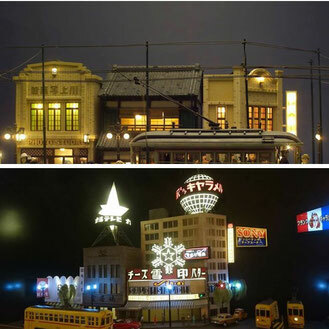 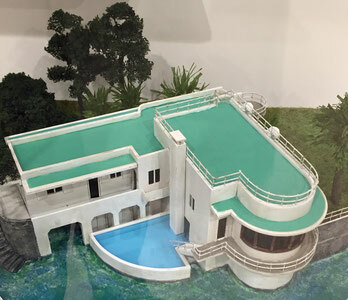 The Nagai's small scaled shape located in Diorama by Mr. Yamamoto, and the Nostalgic Tokyo's scine of Kyoubashi and Ginza came out of Kitahara's ideas in his mind made by Mr. Sasaki, both are displayed at Edo-Grand Bldg B1f (Kitahara's Show Room) and 1F (Grill-Teru Restaurant.) 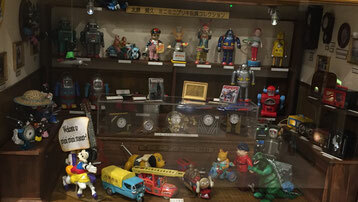 Please look for and remenber the Nostalgic Tokyo old age in your special night. as of March 11 2017. From March 2017, Miniature Dioramas made by Mr. Takaki Yamamoto are displayed at B1F of the Edo-Grand Bldg. 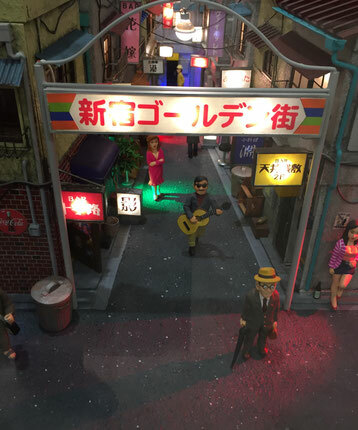 Kyoubashi Tokyo.